All wallets have a money compartment. 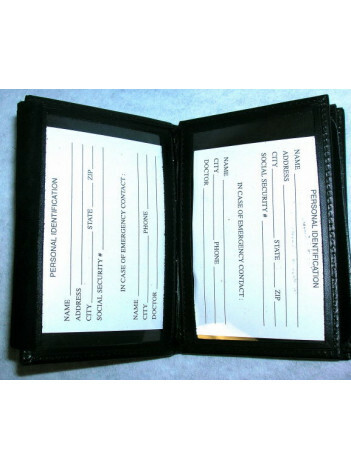 Three credit card slots, two ID windows and recessed badge section. Leather exterior and features durable man-made material on the interior. They have a recessed badge mount with suede flap to protect badge’s luster and finish. The two ID windows are separated by a sewn piece of felt. A Strong Leather Company product. Choose from available agencies.